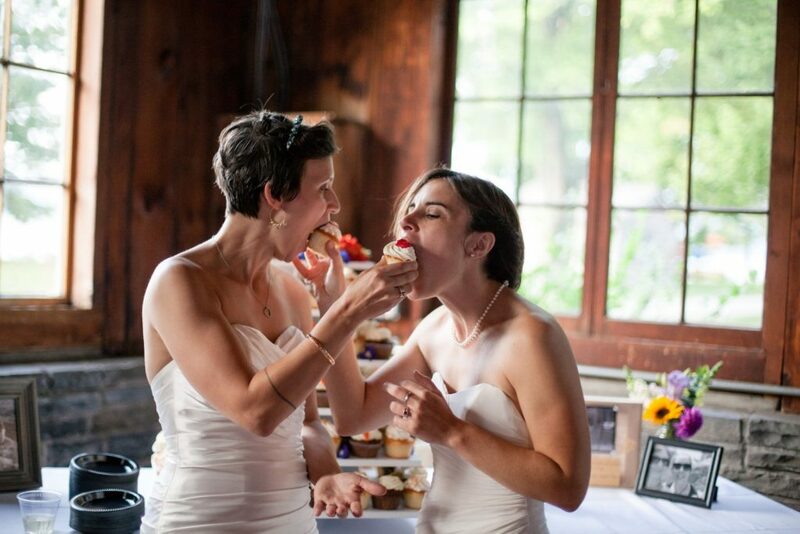 The collective is organized by two vendors – Allison (a photographer) and Rachel (a wedding planner). We’ve made the commitment to support couples planning weddings of all makes, shapes, and sizes in the Finger Lakes region. As the organizers, we meet at least monthly to discuss our work, streamline our processes for efficient collaboration, and support each other in the wonderful and rocky world of gig-based work. In addition, we maintain listings of other vendors in the Finger Lakes area, listed on our vendor community page. We realized there wasn’t one place couples could go to see a comprehensive list of local wedding vendors, and we wanted to create a space where small businesses & individuals who offer services for weddings in the Finger Lakes could all be listed together! We haven’t worked with every vendor listed on our community page, but everyone listed has agreed to our terms of engagement. We also host events (like our winter wedding showcase) to celebrate love and help couples find the best vendor matches for them. We’ve both worked weddings where the line up of vendors felt like a dream team (Rosie and Paul’s wedding comes to mind). At a wedding like that, when the coordinator, the photographer, the caterer, the officiant and the musicians all know and like each other – it results in a special level of trust and flow that imbues every aspect of the wedding. 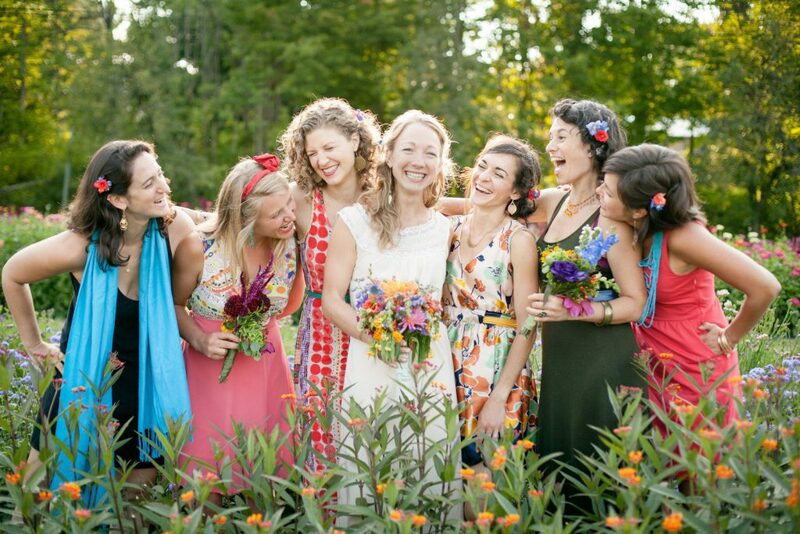 We’ve both experienced the beautiful, organic flow that comes from a community of people all working in harmony with each other at an event – and when that flow is happening at a wedding, well, it’s a really special thing. We’ve collaborated for the past 3 years on all sorts of projects – Allison has taken pictures at events and weddings that Rachel has coordinated, and Rachel has also made cakes for weddings that Allison has photographed. Rachel even made the cake for Allison’s wedding! We decided to come together to create a place where couples in our area could find calm, competent, reliable (but also fun and enthusiastic!) folks to work with them on their wedding– people who not only work well with each other, but who also who have values that are in line with their own. The idea for the collective came about when we both realized that there is a special synergy that comes from working a wedding with another vendor with whom we really connect – and we wanted to figure out how to expand on this synergy, and make it easier for couples to find groups of vendors who can easily come together to form a cohesive team. What’s a Sweet Bough, anyway? So what does this all have to do with weddings? Well, we live in a region that’s abundant with apples, both wild and cultivated, so something apple-related seemed like a fitting symbol for the collective. And we loved the image of every single wedding growing into something different and unique, just like saplings that spring forth from the seeds of an apple. And once we started to look up different apple varieties, sweet bough apples seemed to embody our wedding philosophy in a strangely perfect way. They are known in orchard circles as one of the best early sweet apples, with a delightful flavor reminiscent of honey and a pleasing crunch. They are also known to be a fairly ephemeral apple – you wouldn’t store sweet boughs in your fridge for months – instead, they are best the day they are picked. Not to get too carried away with the metaphor, but weddings are also a sweet, beautiful, ephemeral event – there is a lot of work, planning, process and care that goes into cultivating the wedding you and your beloved have dreamed of – and then BAM! It’s here, and it’s joyful, fun and amazing – and then it’s done. 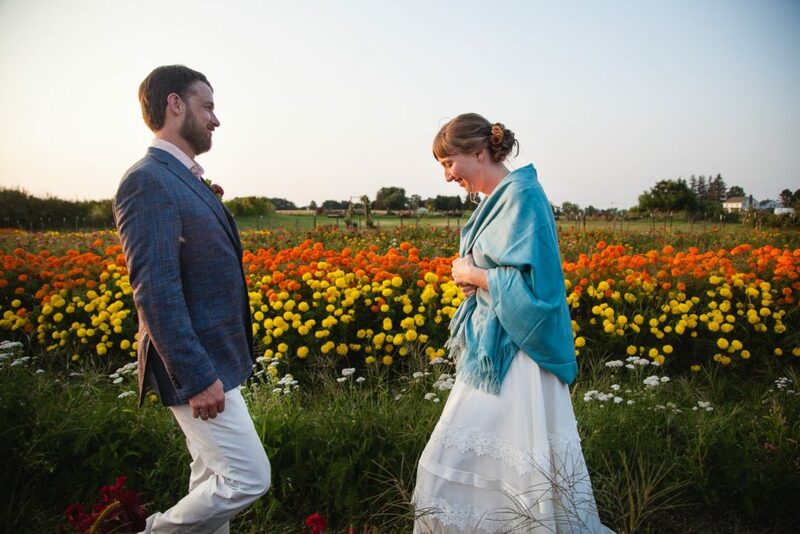 We want to support you both in the wedding that most represents the two of you – it may be unlike any wedding ever held before, or it may have one foot firmly in traditions that are meaningful for you and your families. In either case, we’re here for you! (And forgive us for not knowing when to let go of an extended metaphor… but we also liked the idea of extending of a bough (or branch) when you’re lending someone a hand – if you feel in a rut, or stuck at all in the process of planning your wedding, we’re here to help pull you both out!